A blue shaded thank you image available for free download and share. Thank you note should be simple and conveying. Thank your beloved person for his/her continued support and making you happy all the time. 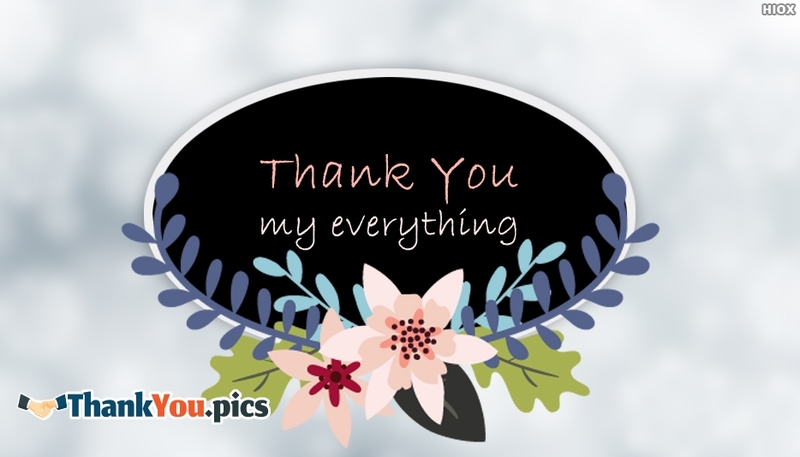 Free download and share this "Thank You My Everything" to your beloved partner through any social media pages.